Sebastian Martin, 25, still recalls the early days of his career as a vocalist, performing elaborate musical productions for his mother on his living room couch. "All I ever really wanted was to be a performer," says Martin. His love for music and performace continued through middle and high school, when he signed up for choir and anything else that would get him on stage. After high school, Martin put together his first band and became his own manager and promoter. Through Buffalo Arts Movement (BAM), an organization dedicated to exposing and enhancing experiences in the arts throughout the Buffalo community, Martin found a platform to give vocal lessons. From there he has branched out, teaching independently. He says his lessons are for anyone who wants to be able to get on stage and express themselves openly, freely, to learn to perform well, and do so with proper technique. "Honestly, I wish I didn't have to charge for it. It's the most gratifying thing for me as a musician, teaching something that I love," he says. Be it through teaching, or singing, performance is Martin's main focus. His band, Strange Standard, creates original songs, tailored for performance. "We are a performance band. When you come to see our shows, that's when it all makes sense. You have an experience. It's a production. It's a show." Martin is the vocalist, with John Schmitt on guitar, Matte Luuke on drums, and Alexander Braun on bass. Strange Standard has a fluid style, which Martin describes as a funk-rock-blues fusion. "We have the soul from blues, the free form of jazz, and the danceability of funk." 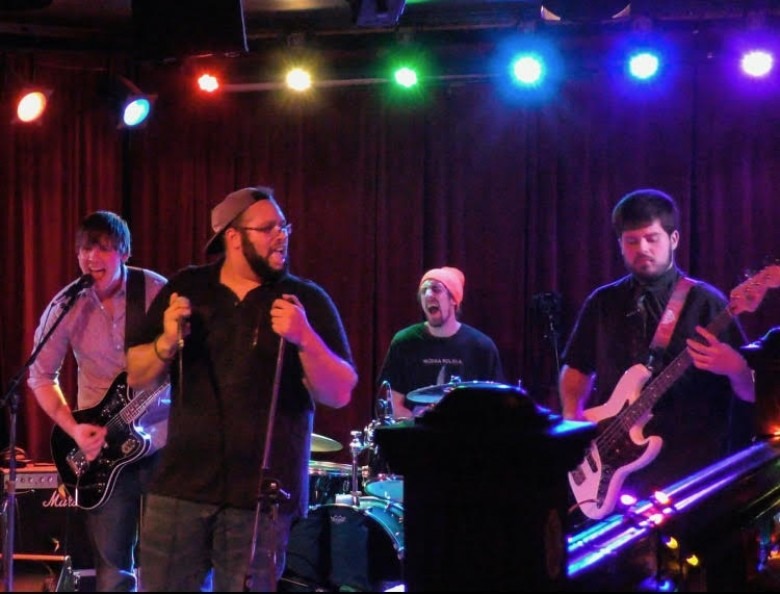 The band spent the spring on tour, kicking off at Nietzsche's on Allen Street and traveling to multiple venues in places such as Cleveland, Ithaca, and Alden. Martin says the best parts about performing for an audience is inspiring people and witnessing their experience, watching the audience buy into the fantasy the performers on stage create. Throughout his musical career, Martin has faced adversity and doubt, with people telling him he'll never be a performer. He has never been daunted by the negative advice, but instead continues to push forward. When he performs, through his music and his presence, he hopes the audience feels that they can be whoever they want to be, and do whatever they want to do. They can be rockstars, too. Buffalo is one of Martin's favorite cities to perform in. "Buffalo is unique in the sense that a lot of people seem to need music in their life," he says. It's about the connection that Martin feels with the people of Buffalo when he performs. He says they're always willing to vibe with him and make the show into something special. The band will end their spring tour where they began: Nietzsche's, at 248 Allen street. "It's a place where all the strange, weird, beautiful people can come out and enjoy themselves," says Martin. The opening acts will be Pebble and Kids in the Basement, from Rochester. The show begins at 9:00 p.m. and will run until approximately 2:00 a. m., with a cash-only bar. Martin says the band has a very hectic couple of months ahead of them, with shows in Pittsburg, Cleveland, and Toronto, as well as time in the studio, recording a single for their next album. "We're gonna be busy, busy, busy."